I know we are wrapping up Mazda month right now, but I have a few more photos I wanted to post before moving on. Last weekend at HKS Premium Day and the JCCA New Year Meeting, I spotted a number of Roadsters in and around the events, and I thought posting some of the photos would be a good way to close out the month. 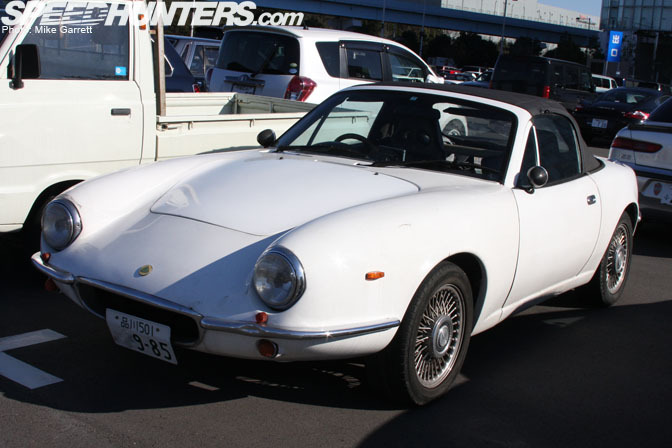 While these cars aren't the "best" examples out there, I think they do a nice job showing some of the typical Roadsters you'll see on the streets of Japan. 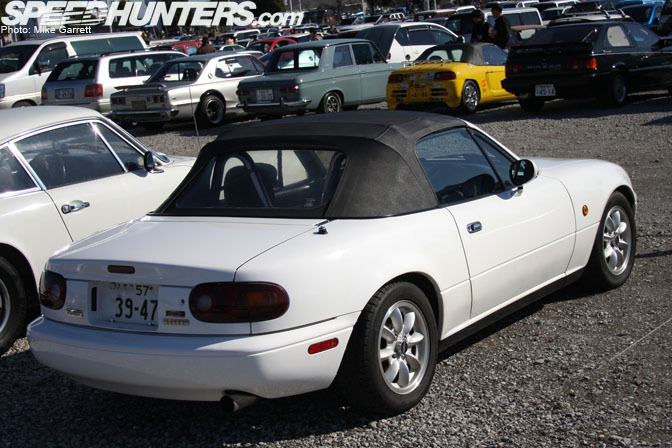 I'll start with this hard-top equipped NB that I spotted at the HKS event. 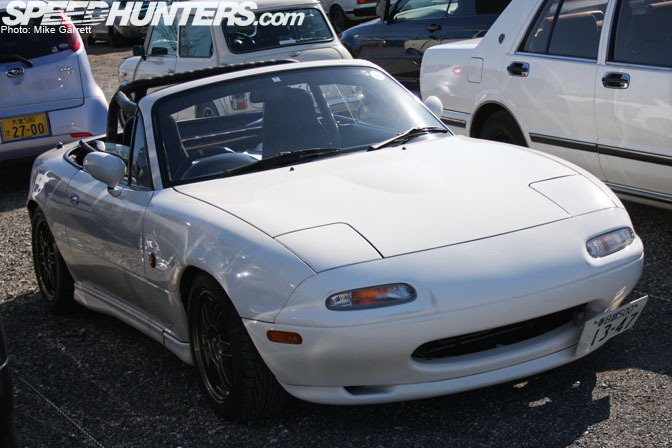 This car is a fine example of how nice the Roadster can look with just minor changes. I've never been a big fan of this type of add-on aero kit, but this car looks great with it. Roadster owners must be big fans of vintage cars, because the parking lots at the JCCA event were FULL nicely done Roadsters like this white NA. Of course it would look nicer if it were lowered, but still not bad-looking machine. 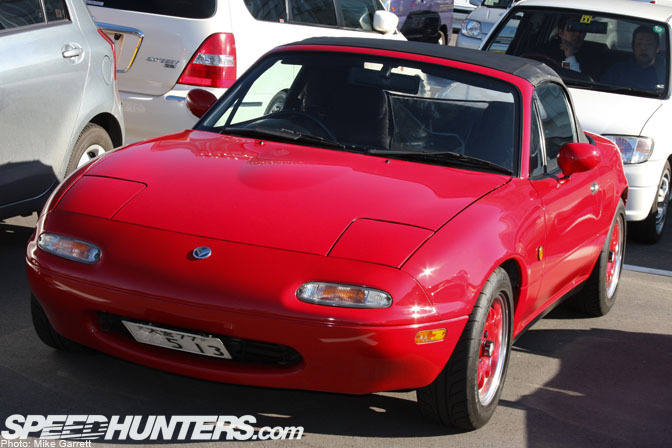 Another NA6CE, this one red with a matching set of wheels that give it that early '90s period look. 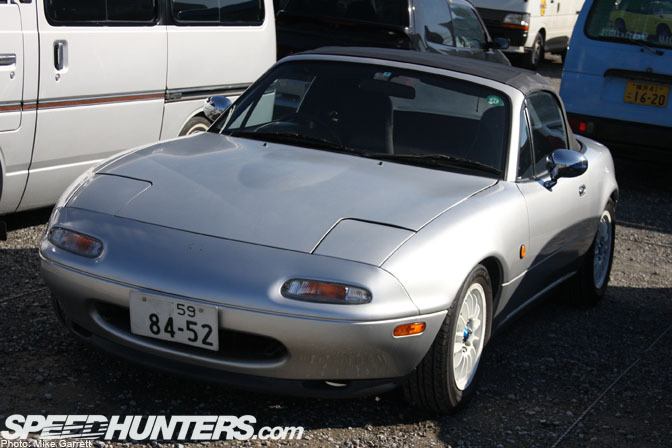 This NA has the basic "sports car" look with a set of 14" Panasport wheels and a chrome/polished double-hoop roll bar. This car appears to be almost stock with the exception of the wheels. I've seen this Pit Crew Racing-like nose conversion before, but I can't remember the maker. There probably aren't too many fans of wire wheels here, but I'd say they match this car pretty well. Mariner Blue was one of the signature colors of the early NA cars, and this one looks great sitting on a set of 15" Work Meisters. This was in the parking lot of the HKS event. 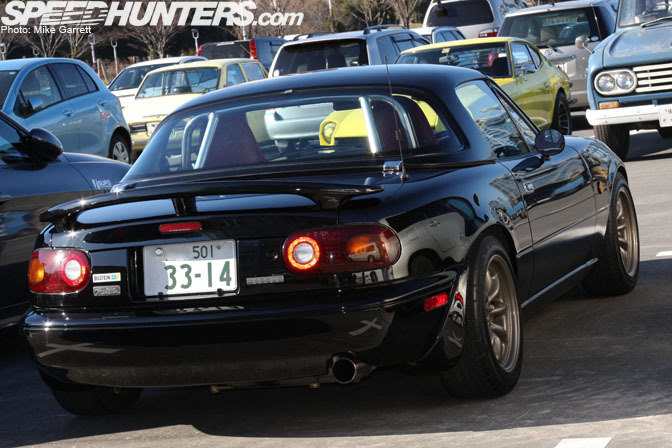 This black NA with a set of bronze RS Watanabes was one of my favorites. The car was like new, just look how the paint shines. 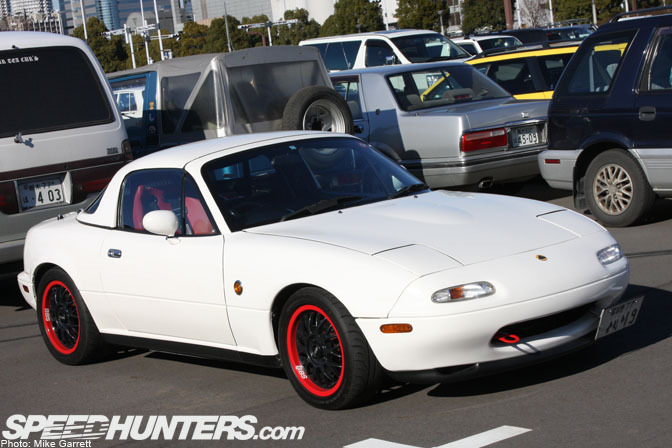 How about this NA with a set of red-lipped BBS mesh wheels? Just don't call them "time attack" style, OK? 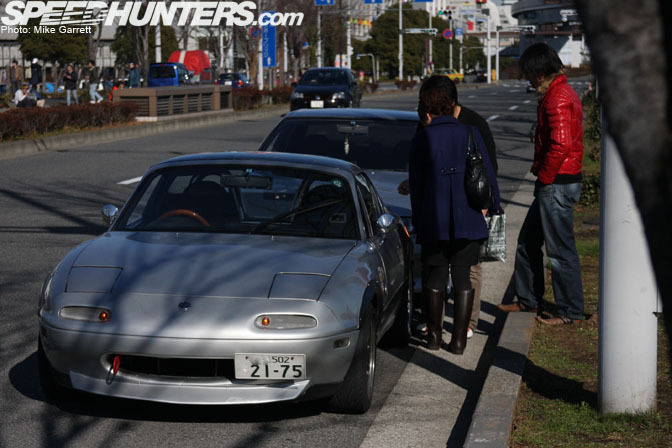 Also check out the Lotus style "Eunos" badge on the front bumper. 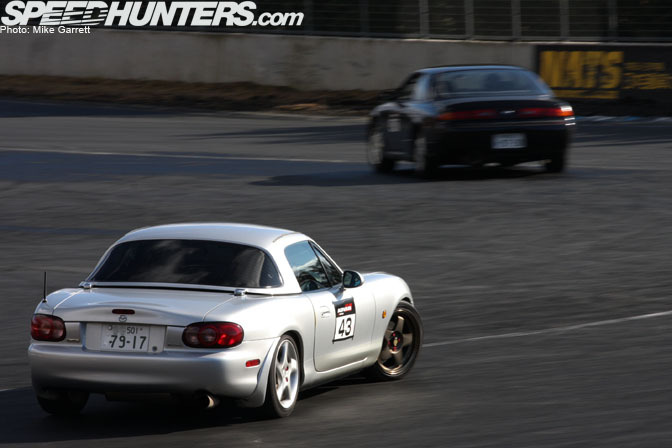 Finally, this NB was caught taking part in the HKS Drift Challenge at Fuji Speedway. 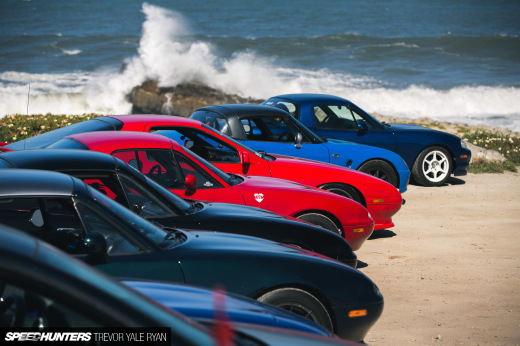 So, which one of these Roadsters does it for you? 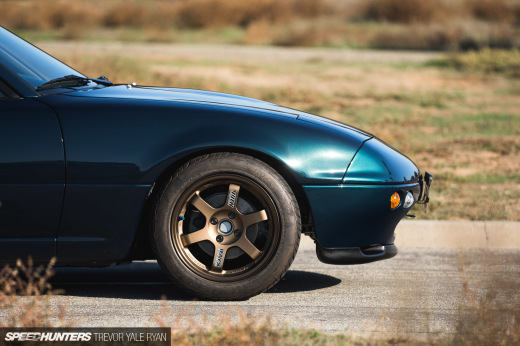 the na with the bbs wheels looks mad. 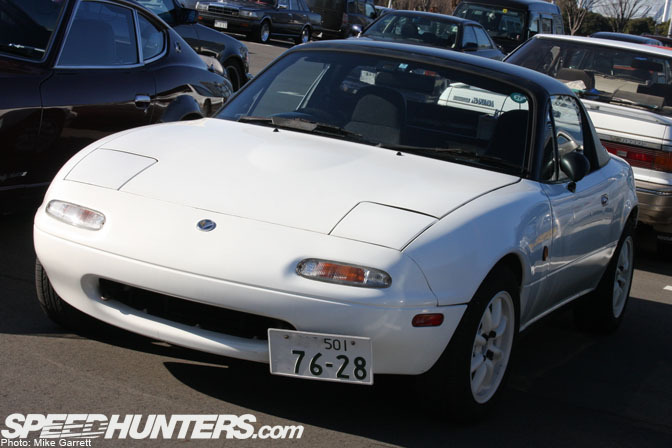 is it just me, or are there hardly any bodykits for the na mx5's? Tough call but I'd say my fav would be the black 1st gen with the bronze RSWs. 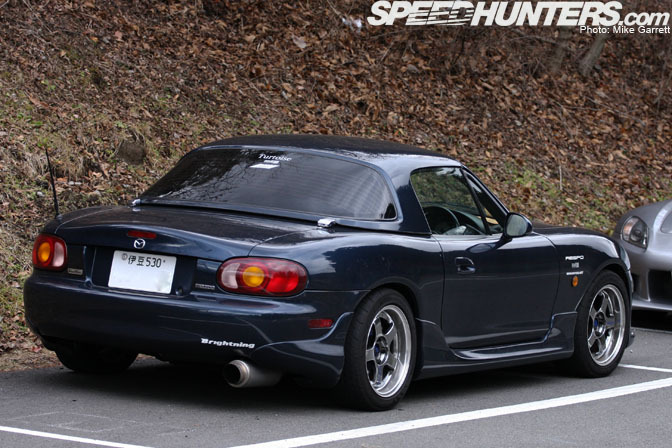 i just love the look of roadsters in japan.